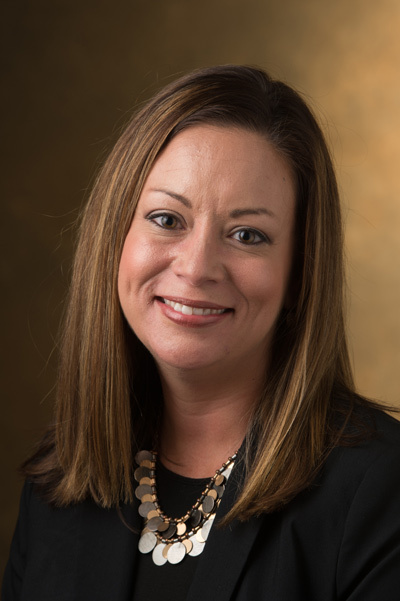 The Southern Illinois University Edwardsville Office of the Provost announced that McKenzie Ferguson, PharmD, is the recipient of the annual Teaching Excellence Award for tenure-track faculty. It is the most prestigious teaching award for an SIUE faculty member. Two additional faculty members were saluted for their teaching skills and accomplishments with Teaching Distinction Awards, and five more received Teaching Recognition Awards. Ferguson is an associate professor of pharmacy practice in the SIUE School of Pharmacy (SOP) and director of the Drug Information and Wellness Center. She received a $2,000 prize as part of the award. Ferguson will be recognized during SIUE’s May commencement ceremony and speak at the 2017 fall commencement ceremony. She will be nominated for the Council of Advancement and Support of Education (CASE) for the National Professor of the Year Award. Teaching Excellence Awards committee chair Mary Lee Barron, PhD, an associate professor in the SIUE School of Nursing, cited Ferguson as an outstanding educator. The committee noted her innovative teaching methods and excellent time management skills. Ferguson impressed the committee with her engagement of students in active learning by utilizing standard and new technologies to enhance difficult concepts. The committee noted that Ferguson upholds the ideal of the teacher-scholar through her professional activities such as research, obtaining National Institute of Health grant funding, and consistently attending workshops and conferences. Ferguson teaches both drug information and biomedical literature courses. Her research interests include evidence-based medicine and patient safety in vulnerable populations and professional development for students, residents and preceptors. “I believe it can be a challenge for pharmacists to stay current with new research and medical information as new information is published daily,” Ferguson said. “I teach students necessary skills to be life-long learners and how to properly find and evaluate medical literature. In my practice setting within the Express Scripts Drug Information and Wellness Center, I respond to drug information requests that help our faculty, preceptors and alumni provide the best care possible to the patients they serve. Ferguson earned a bachelor’s in biology from Carthage College in Kenosha, Wis., in 2002, and achieved a PharmD from St. Louis College of Pharmacy in 2006. In addition, Teaching Distinction Awards went to Mary Plocher, and Amelia Perez, PhD, who will receive $1,500 and $500 prizes, respectively. Plocher is an instructor in the Department of Social Work in the College of Arts and Sciences (CAS), and her credentials include a master’s in social work from Aurora University in 1979 and a license in clinical social work. The Highland native first joined the SIUE faculty in 2000 for a six-year stint and returned in 2013. The committee complimented Plocher as a thoughtful, energetic educator who draws on her wealth of experience in education and professional practice. She also impressed with her ability to create safe spaces for students to share their views, upholding SIUE’s values of openness and inclusion. By facilitating respectful dialogue, she builds great rapport with students. “Students need to know and understand basic facts and concepts, but are most likely to best comprehend what they have experienced,” Plocher said. “The application of knowledge is essential to the students’ mastery of skills and their capacity to critically think. The committee acknowledged Perez as an accomplished and reflective educator who embraces the SIUE values of openness and inclusion. She is considered a role model for both students and faculty in coordinating the Simulation Learning Center with the goal of teaching students through hands-on cases and critical thinking exercises. "Dr. Perez is an esteemed and accomplished faculty member in the School of Nursing," said Laura Bernaix, PhD, RN, dean of the SON. "Her ability to connect with her students and motivate them to succeed is one of her greatest attributes. It is not surprising that she is receiving this award as she most certainly exemplifies the teacher-scholar model and the values and goals of both the School of Nursing and the University." A native of the Dominican Republic whose family moved to Decatur during her childhood, Perez has been a faculty member for nearly 15 years. She has held numerous leadership positions in the School, as well as with regional and national associations dedicated to advancing the roles and interests of Hispanic nurses and communities. Five Teaching Recognition Awards were bestowed upon Johanna Schmitz, PhD, associate professor in the Department of Theater and Dance within CAS; Nader Panahshahi, PhD, professor of civil engineering within the School of Engineering (SOE); specialist Brent Vaughn in the SOE; instructor Jean LaFollette in the School of Nursing; and Miranda Wilhelm, PharmD, associate clinical professor of pharmacy practice in the SOP. All awardees receive $250. Photo: McKenzie Ferguson, associate professor of pharmacy practice in the SIUE School of Pharmacy.